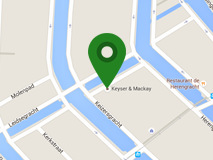 Keyser & Mackay has expanded their representation of Ege Kimya Istanbul for the countries Belgium and the Netherlands. Ege Kimya produces a wide range of metal driers for the coatings industry, among which basically all of the standard types, including a number of combination driers and a Co-carboxylate polymer. For more information see: Ege Kimya paint driers EGEDry Prime Technical Document. If you have any further questions, do not hesitate to contact us!